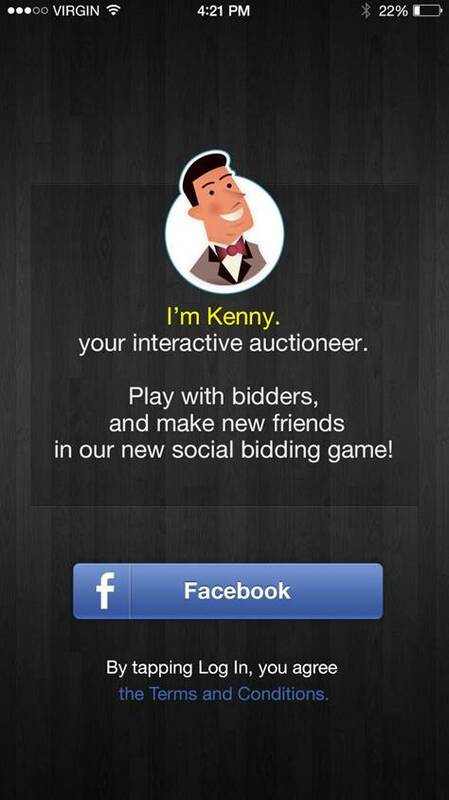 Introducing The Ultimate Social Auction Game! Choose The Prize You Would Like To Win. A Tutorial Is Available For You To Learn How To Play. You Compete With Other Real Players. Connect instantly with other players through our social chat room. Get to know your opponents and access their Facebook profiles. Invite your friends, earn free tokens, and play together! Get in touch and socialize with other players. Say what you want to say or what you want them to hear. It’s all part of your strategy. iPads, iPhones, Smart TVs, Tablets, Cameras, Handbags, Travel Packages, Exclusive Concert Tickets, and More. All the luxury items and experiences you want for just $1. Simply sign up with your Facebook account to start playing immediately! 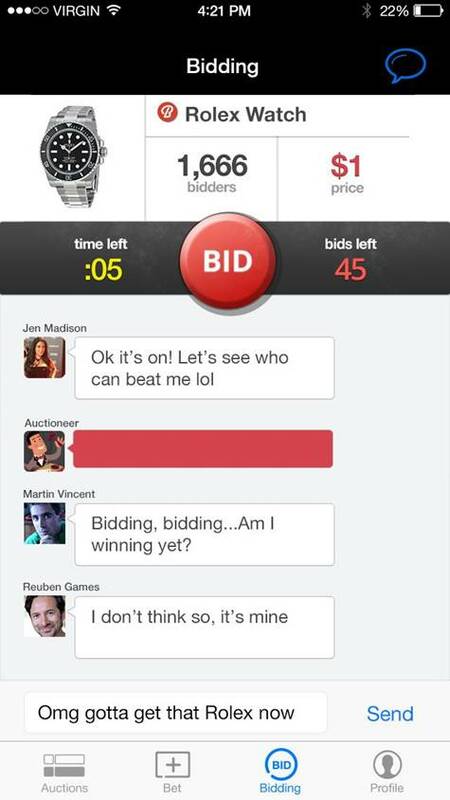 The First And Only Interactive Auction Game With Facebook Login! Win Real Luxury Prizes For Just $1 ! Tired of playing games where you can level up, but you can’t win real prizes? 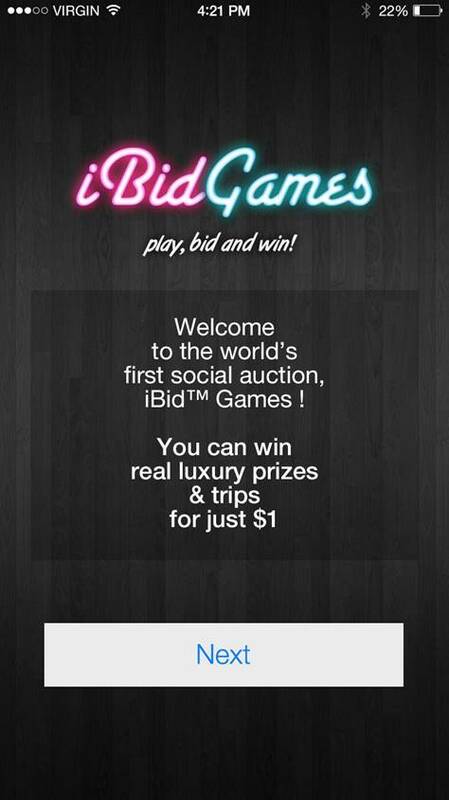 Play iBidGames and you have the chance to win for real. Strategize, play, and maybe you can walk away with the $1 items of your choice! High end luxury items. The hottest items in tech, game consoles, cameras, designer handbags, concert tickets, and trips. You know you want it. Meet. Compete. Play. Win! 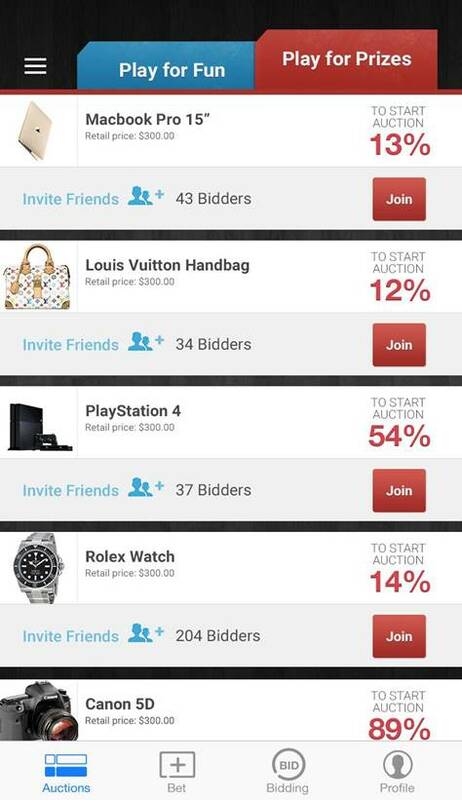 Join an awesome community of other social auction game enthusiasts like yourself. You know you’re playing real people and not bots when you can access each others’ Facebook profiles. Enjoy! Tell your friends & share our app with your community and we will reward you will free tokens to play! Come check us out now. What game can offer me a cool prize? None except iBidGames. Thanks guys. but I love the chance to win an Xbox or Rolex at iBidGames. 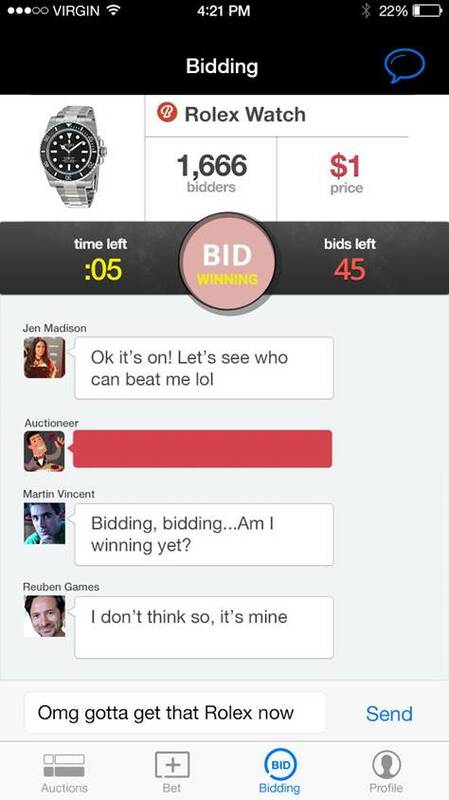 WE ARE THE FIRST INTERACTIVE AUCTION GAME ! YOU CAN WIN REAL BRAND NEW LUXURY ITEMS FOR VIRTUALLY FREE!